The Ghana Cocoa Board (COCOBOD) is confident its aggressively-pursued productivity enhancement programmes will grow the crop to over one million metric tonnes annually, Mr. Joe Forson, Managing Director of Cocoa Marketing Company, has said. The Productivity Enhancement Programmes range from hand-pollination, irrigation, rehabilitation of infested farms, and improvement in warehousing capacity, he said. COCOBOD has over the past months been able to reverse the declining trends in cocoa production from 780,000 metric tonnes to 968,000 metric tonnes. The Board is confident of purchasing 900,000 metric tonnes of beans for the 2018/2019 crop year. 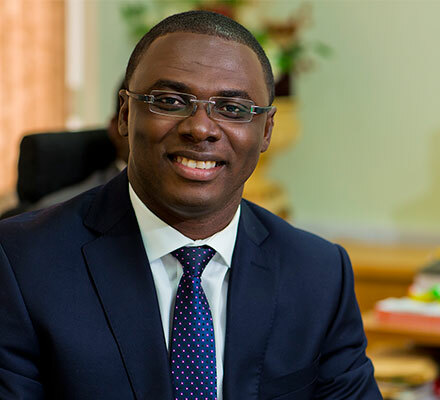 He said COCOBOD has been very definite in terms of its production objectives and goals, adding that: “The Board is pursuing an aggressive agenda of hand-pollination, wherein we have basically identified that because of the excessive spraying which has gone on all these years we have lost a lot of insects that pollinate. Mr. Forson indicated the challenges faced and successes chalked-up in the previous crop season: “The 2017/18 season has been a challenging and interesting season on the International cocoa market after a more-than-40% drop in world market prices during 2016. This historic and maiden edition of the conference in the country, according to Mr. Forson, was born out of the objective “to promote local participation aligned with our national interest of a Ghana Beyond Aid”. This year’s conference is intended to pursue this objective by reviewing the 2017/18 Crop Season and build on the strengths to achieve set objectives, he said. The 2018/2019 edition of the Annual Cocoa Freight Negotiation Conference, which marks the beginning of formal engagements between the Cocoa Marketing Company (GH.) Ltd. (CMC), the Ghana Shippers Authority (GSA) and shipping lines in the determination of freight charges for the carriage of cocoa beans and other cocoa products from Ghana to destinations in Europe‚ the Americas and Asia on a competitive, transparent and cost-effective basis. Ms. Benonita Bismarck, Chief Executive Officer of the GSA, explained to shippers and agents present that the GSA is collaborating with shipping lines to engender openness and transparency in the trade, for the benefit of shippers. The conference, being hosted by the CMC and the GSA in collaboration with participating shipping lines/agents and supporting stakeholders, revolves around the theme ‘Repositioning Shipping in the Cocoa Supply Chain to advance Ghana’s Development Agenda’. The conference brought together key players and other stakeholders in the maritime and cocoa industry to brainstorm and provide a roadmap for repositioning shipping to benefit local actors along the cocoa value chain and ultimately the Ghanaian economy. 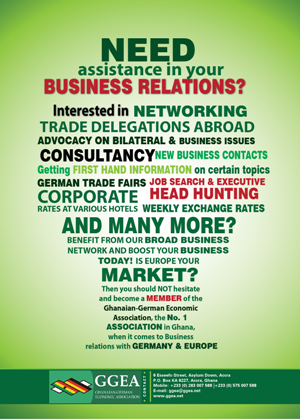 For almost two decades, the Cocoa Marketing Company (GH.) Ltd. and the Ghana Shippers Authority have engaged carriers/shipping lines in the determination of freight charges for carriage of Ghana’s cocoa beans and other cocoa products from Ghana to destinations in Europe, the Americas, Asia etc. These agreed freight charges became applicable for each cocoa season – usually from October to September of the subsequent year. Since 2009, after repeal of the EU Regulation 4056/86, Ghana began to hold separate negotiations with individual shipping lines for the shipment of the country’s cocoa beans annually in Europe. This new arrangement involves submission of proposals by the shipping lines, which form an integral part in the process of determining an appropriate freight rate based on negotiations with representatives of the shipping lines, and subsequent announcement of an agreed rate for the season.